Held last Thursday night in Melbourne, the Victorian Premier's Sustainability Awards saw both new technology and great design get rewarded for their contributions to sustainability. The top award on the night went to South Yarra company eWater Systems, who won the coveted Premier's Recognition Award for developing water splitting technology which is used to clean and sanitise facilities such as hospitals, schools, manufacturing businesses and restaurants chemical free. 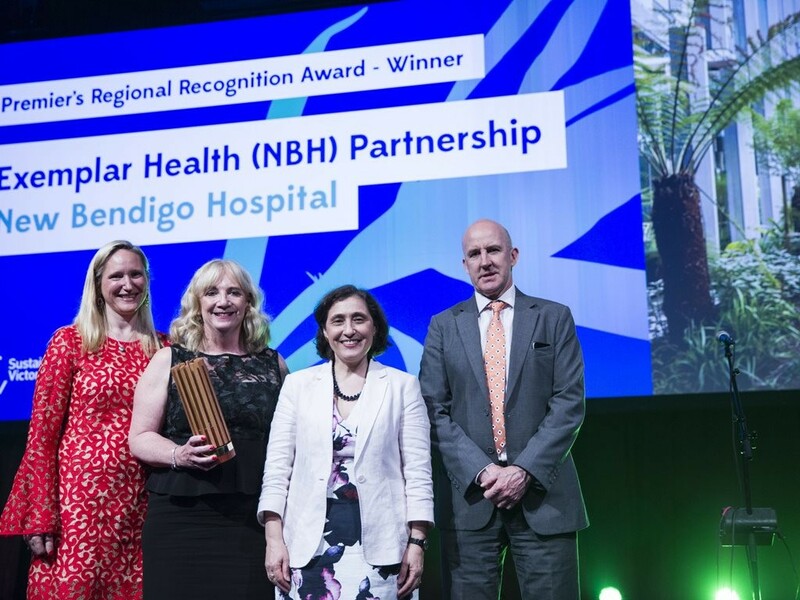 Not to be outdone by their city cousins and representing country Victoria, Exemplar Health picked up two awards - the Premier's Regional Recognition Award for developing Bendigo’s new hospital as well as the Large Business category. Another winner on the night was Nightingale Housing, who scooped the Built Environment category for development of apartment block Nightingale 1 in Melbourne’s Brunswick, a project that integrates sustainable thinking into all elements of the site’s design, construction and systems to create a healing and therapeutic environment, according to the judges. According to Sustainability Victoria’s interim chief executive, Stephanie Ziersch, the awards highlighted the importance of environmental issues for both businesses and citizens in the state. “Each year, the Premier’s Sustainability Awards continue to discover Victoria’s best and most inspiring Victorian individuals, organisations and businesses which are developing and implementing new sustainable practices." “Congratulations to all of this year’s winners. Your contributions will have positive long-term effects on our society and our way of life,” says Ziersch.